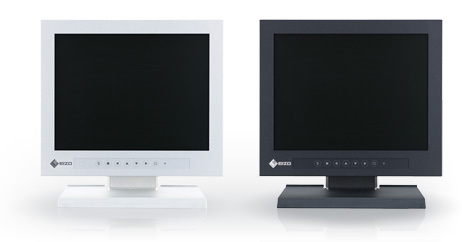 At EIZO, we develop, manufacture, and test our monitors at our own facilities and factories. These models are built for 24-hour use and are backed by a 2-year manufacturer’s warranty for maximum reliability in industrial environments. Most are equipped with an environmentally-friendly LED backlight that lasts long and saves energy. The cabinets of most models do not contain any ventilation holes and the perimeters of the control buttons are sealed, making them impervious to liquids and dust. To accommodate the requirements of various installations, several models are available in up to five different configurations: standard (with stand), VESA mount (no stand), chassis, panel mount, and rack mount. A range of sizes from 10" to 19" are available to meet the needs of many installations. 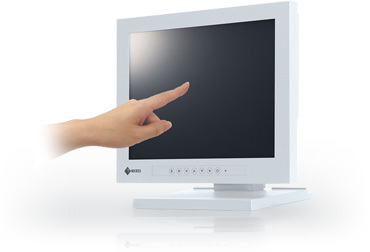 For installation in terminals that require touch interaction, several models have touch capability that accept input from bare and gloved hands. They can also withstand dust and liquids for increasing reliability in factory settings.